Blurb Description: When Patrick Udo is offered a marketing job at NumberCorp, he packs his bags and leaves for Silicon Valley. After all, the 2030s are a difficult time, and jobs are rare. Little does he know that he's joining one of the most ambitious undertakings of his time. NumberCorp is hell-bent on building a new world order - one where everyone's social circles are quantified, their activities examined, and their importance distilled into the all-powerful Number. A society where everything from your home, to your education, to your job depends on an app that shows exactly how important you are. A utopia of truth and order. As NumberCorp rises in power and in influence, the questions start coming in. What would you do to build the perfect state? And how far, exactly, is too far? 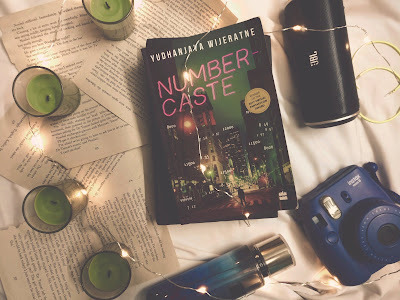 A novel set a few decades in the future where a number that calculates everything you are, especially your social influence online, determines your lifestyle, job, restaurants you can eat at and where you live, to say the least? Told through the eyes of a photojournalist and content writer who worked at the company that revolutionized society, for better or worse? SIGN ME UP. If you can’t already tell, I absolutely loved how exciting the premise of Numbercaste sounded and I dove in as soon as I could. Starting in 2030, and following the rise of Numbercorp for a decade and a half, this book felt more real than dystopian because, well, WE ALREADY LIVE IN A WORLD SIMILAR TO THIS ONE, at least at the beginning. 1. THE PLOT: HOLY WOW. The plot of this novel or, rather, the concept behind it was REAL AND ALSO SLIGHTLY INSANE. It was so strange to read about a system in the future like it was a dystopian while also realising that we are probably a few automatic software updates from getting to where a number controls your life. 3. THE WEB-SERIES: This was probably my favourite part in the series, when the idea to create a webseries to show the power of the number truly came out. The pace picked up, and I could see some inspiration driving Patrick Udo, not just going along with whatever the job through at him. taking over the world, Patrick Udo’s narration of it all was JUST SO DULL. 2. DID I SAY THE PACE? Yudhanjaya Wijeratne is a data researcher and a former journalist. He's run news operations, designed games, and fallen off cliffs (most of these things by accident), but he's known in his native Sri Lanka for sparking political commentary under the Icaruswept moniker. 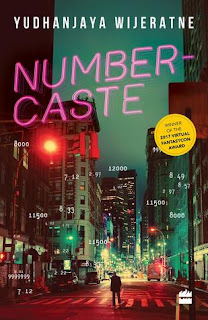 Have you read a book like Numbercaste?